For a simple staple food, rice can be surprisingly tricky to make. Undercook it and it's wet or mushy. Overcook it and it burns to the bottom of the pan. Fortunately, rice that's merely wet is easy to fix. It may need additional cooking time if the kernels are still hard, or you may have simply used too much water. Don't forget to let the rice rest after it's done cooking. This one final step is the secret to moist but fluffy rice. Taste the rice. The texture should be tender, but not mushy. If the rice is still hard, return it to the stove top. Place the lid on the pot and simmer on low for a few more minutes until the rice is fully cooked. 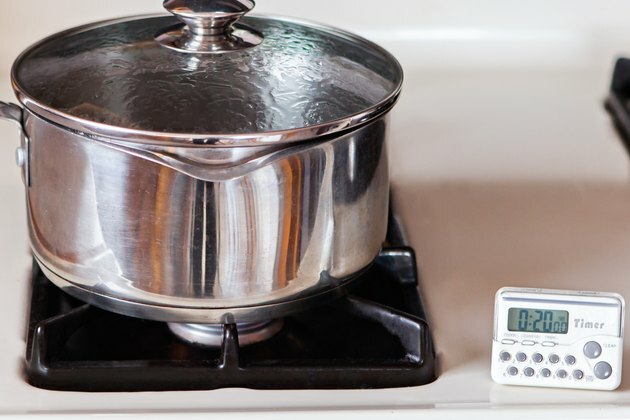 Always use a timer when cooking rice so you know exactly how long it's been cooking. White rice takes about 18 to 25 minutes to cook. Brown rice takes 30 to 40 minutes. Wild rice needs 45 to 60 minutes to become tender. Drain off excess water into the sink. When fully cooked, the rice should have no standing water in the pot. In the future, use less water. In general, use a ratio of one part white rice to two parts water. For brown rice, use a ratio of one part brown rice to 2 1/2 parts water. When making wild rice, use one part rice to four parts water. Set the rice aside and remove the lid. Allow the rice to stand for five minutes before you touch it. This resting period allows any remaining water to evaporate or be absorbed by the rice. Fluff the rice with a fork and serve it. 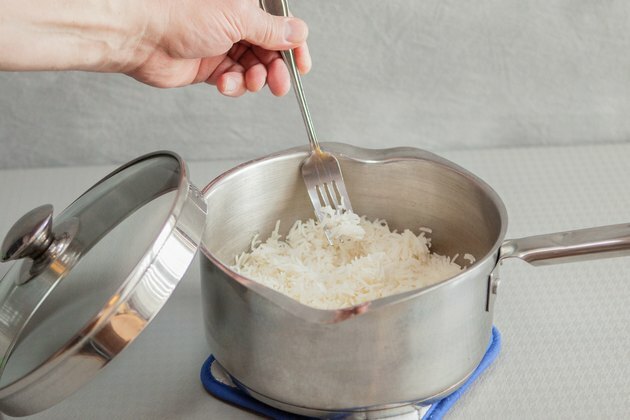 A little extra preparation at the beginning helps ensure delicious, fluffy rice. 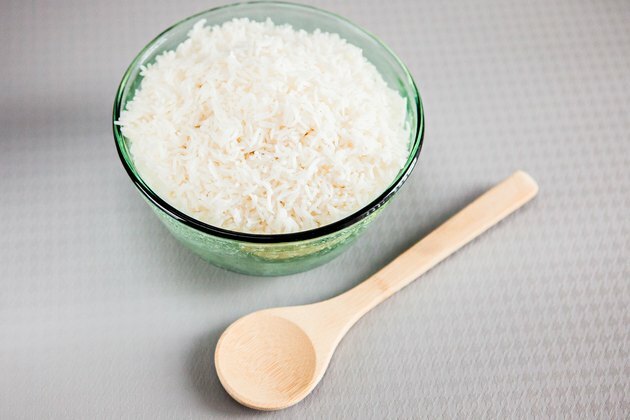 Rinse the rice to remove any starch or talc, which is sometimes used in foreign mills to prevent stickiness. 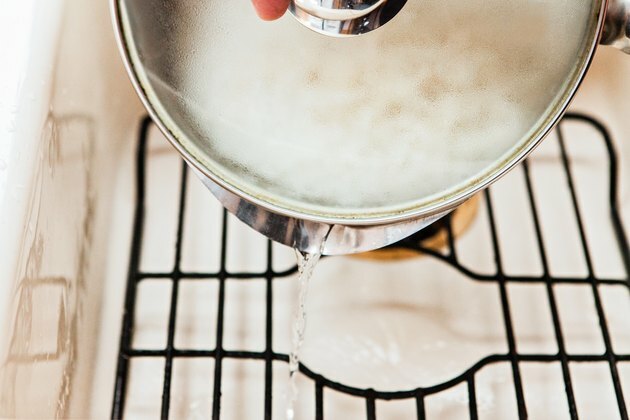 Bring a large pot of salted water to a gentle boil before adding the rice. 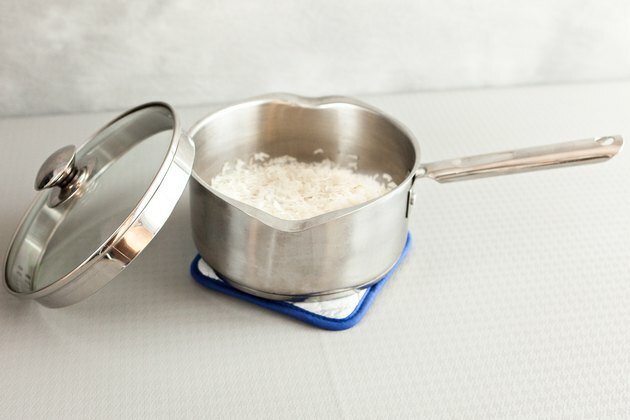 Using a large pot helps the rice cook more quickly and evenly. Cover the pot with a tight lid.